Unfortunately, the dress you are looking for (Style: AS-i751011a17, Name: AS-i751011a17) is no longer available. 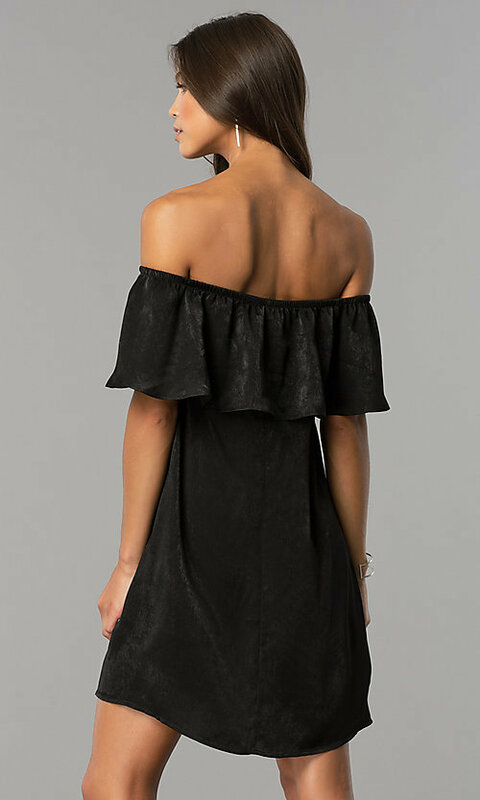 Here's a short off-the-shoulder shift party dress in black. If you're looking for a little-black dress for date night or family celebration party, you're sure to love this short strapless shift dress. The black party dress has an off-the-shoulder neckline with a wide ruffle that drapes across the bodice and upper arms. The loose-fitting dress, made from a poly-satin blend, is a comfortable yet stylish choice for semi-formal events. 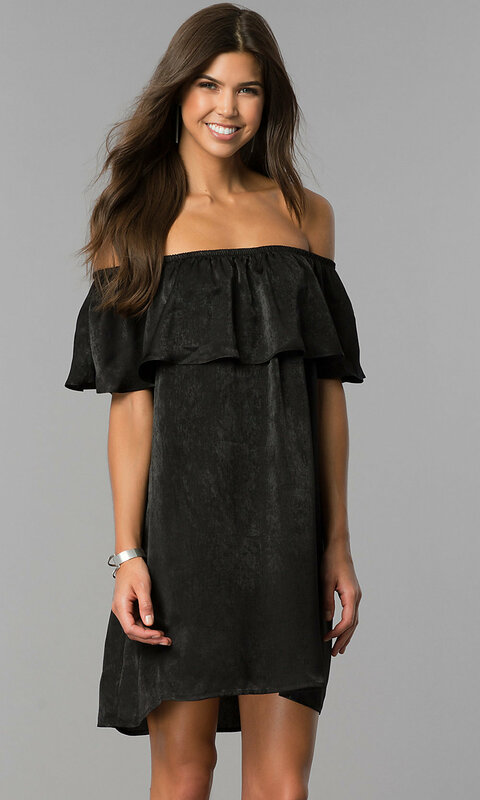 This adorable black party dress, priced well under $50, is a bargain for frugal fashionistas on a budget. 29" Hollow to Hem 34"